Former US Vice President Al Gore and his wife Tipper are separating after 40 years of marriage. The 2000 Democratic presidential candidate and his wife cited "a mutual and mutually supportive decision", in an email to friends. irreconcilable differences? – like believing in AGW or not? That Tipper is a right fvcking kunt. It was her initiatives that killed rock and roll, and created the Disney light version. Some of my favourite rockers in front of a congressional committee because she didn't like what they had to say. There will be a special place in hell for her, that you can take to the bank. WTF kind of name is that! Apparently he's moved in with womanbearpig. 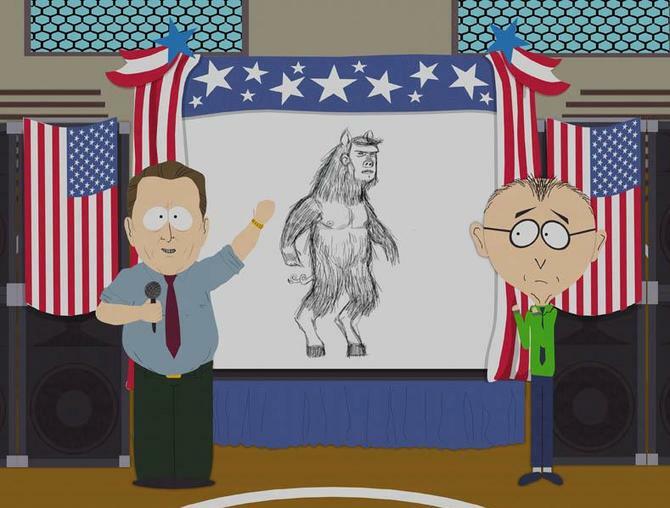 means nothing tbh, I just really like the idea of manbearpig. I always was a marriage Change Sceptic. Surely they will live separately but in a single small energy-efficient house to conserve resources and prevent global warming. He looks like he's kissing her (kind of 'at her') rather than looking like they are kissing together. Their marriage had gone past the Tipper point. She's now moving into a new house with air conditioning after putting up with Al's hot air. Does this mean we'll have to put up with even more of His Holiness preaching what he doesn't practice?